For anyone that uses a computer mouse, keyboard, or is an avid gamer the pain associated with carpal tunnel syndrome can be debilitating at times. The symptoms of carpal tunnel syndrome include pain, numbness, and a tingling sensation in the hand and fingers. Not only can this disorder be painful, but it can interfere with daily tasks and even impede work performance. The use of a carpal tunnel brace can markedly improve the symptoms of this syndrome and Carpal Solution offers a simple and easy to use wrist brace to be worn during sleep. This home based, carpal solution therapy is dependable and effective. To fully understand the pain and discomfort associated with CTS (Carpal Tunnel Syndrome), we should know what causes this malady. 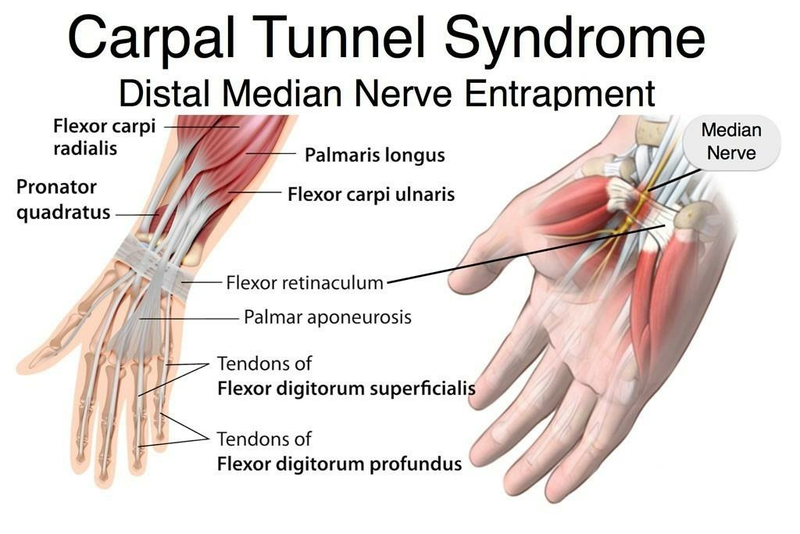 The median nerve runs from our forearm to the palm of our hand and normally passes through the wrist at the carpal tunnel. This is a narrow passageway of bones and ligaments at the base of our hand that allows the median nerve to pass through as well as the tendons that move our fingers. It is at this point that when the median nerve gets impinged that causes carpal tunnel syndrome. Imagine a simple and easy-to-use apparatus to alleviate this discomfort. That’s exactly what the Carpal Solution Carpal Tunnel Wrist Support is designed to do. 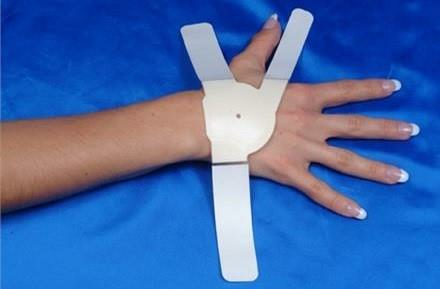 Its simplicity and ease-of-use make it possibly the best carpal tunnel brace available. This carpal tunnel wrist brace is not only effective and FDA approved, but simple to apply which improves the probability of patient compliance. You no longer need rigid splint and braces to overcome CTS. The Carpal Solution hand brace can alleviate the pain associated with CTS in as little as 1-2 weeks without the need for surgery. As opposed to other rigid, immobilizing braces for carpal tunnel, this apparatus is a carpal tunnel wrist brace for night. It works by gently stretching and reshaping the soft tissue around the carpal tunnel at three different points of the palm of the hand where the distal median nerve is housed. By relieving this pressure, pain associated with CTS can be alleviated. The patient success rate is over 97%. This is no gimmick, this is a patented medical technology that is the only clinically documented treatment for carpal tunnel syndrome that is available over-the-counter. Step 1: First place wrist support on back of hand and then attach first strap below pinky finger, securing it to palm. Cut excess tape with scissors taking care not to damage strap if you tear excess tape without scissors. Step 3: Stretch last strap between thumb and forefinger and apply tape to palm area. Cut away excess tape with scissors and if everything is done properly nothing should overlap. Once all tape is secure, a gentle stretching action should be felt. The Carpal solution wrist support should be worn every night for the first two weeks, then every other night for two weeks. Your carpal tunnel syndrome symptom progression should be reversed while you are asleep!! Talk about easy!! The story of the cobbler who goes to sleep and wakes up with a store full of shoes made by elves may be just a fairytale, but going to sleep and waking up with less pain associated with carpal tunnel syndrome is reality. This wrist brace for carpal tunnel is so simple and easy to use you don’t even need to be awake for it to be effective!! Any treatment that is easy and effective massively improves patient compliance which means symptom alleviation faster.